Whenever there is a new building project, the expertise of a piling specialist is required. However small, large, high or low a structure is, it needs to be supported at the foundation. Construction piling is the method used to strengthen the foundation of a building so that it will not move or collapse. Piling needs to be carried out in a way that ensures the foundation will last. 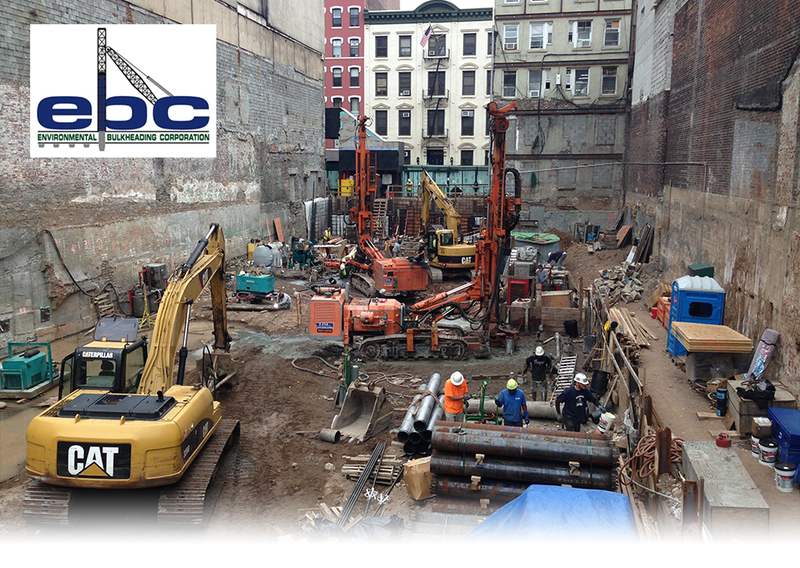 EBC is a full-service contractor, in the tri-state area, specializing in the construction and repair of deep foundation systems. We specialize in the installation of piles, sheeting and shoring, excavation, tie-backs and anchors for both new construction, as well as the repair of existing foundations. We have become the contractor of choice when projects inlude any foundation work. EBC also offers services beyond the physical construction of a project. We can provide value engineering, as well as help design and build any foundation, with or without shoring. We are NYC Vendex approved and have worked with the Department of Sanitation, NYS DEC, many local municipalities, New York State Department of Parks, Office of Emergency Services, as well as the New York Housing Authority and Urban Development. Our company is also a preferred contractor with any project near or adjacent to NYC MTA structures. Copyright 2011, Environmental Bulkheading Corp. All Rights Reserved.